I've thought about purchasing the full version of Dxtory but I hear it doesn't ever work with ghosts and it takes you a while to fix. Any idea when this issue will be fixed? I have this problem as well... 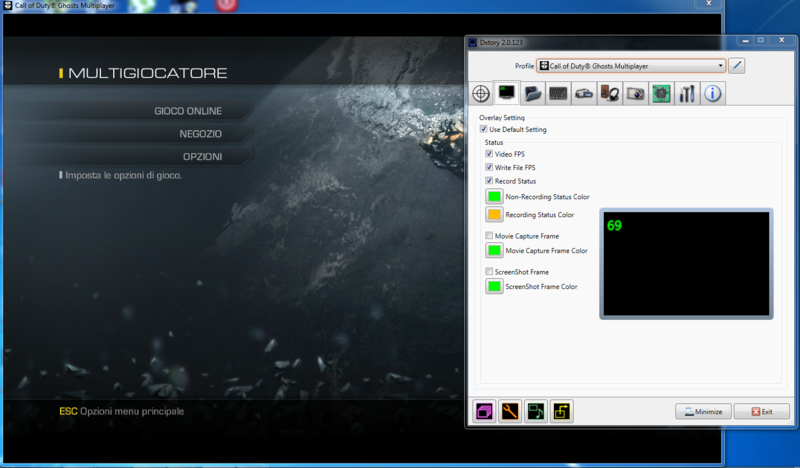 I have the hot fix and it worked for a while but since a few days ago the FPS number does not appear. I do not know how to do, I purchased a program that does not work .. I need to get to know a state, seeing environment information. I'm pretty sure the answer is gonna be "Caused by other software not Dxtory" seen it in other topics. Which is funny because Dxtory has conflicts with many programs. Even went from Comodo antivirus to AVG now. These guys should start to consider to make their software more friendly.